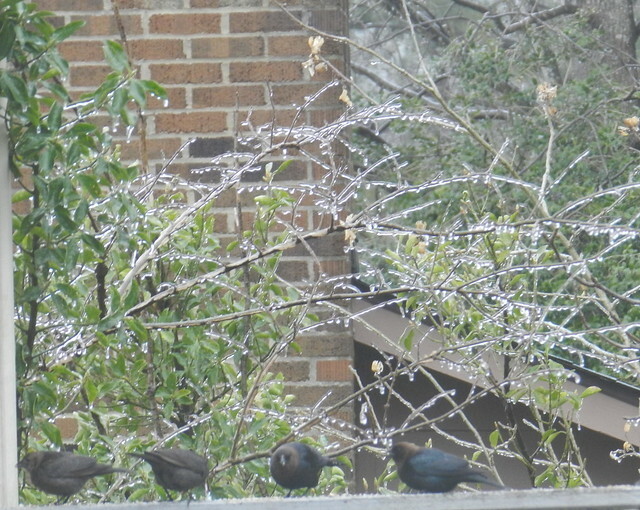 During the first part of this past week the birds and humans alike were wondering what happened to spring. 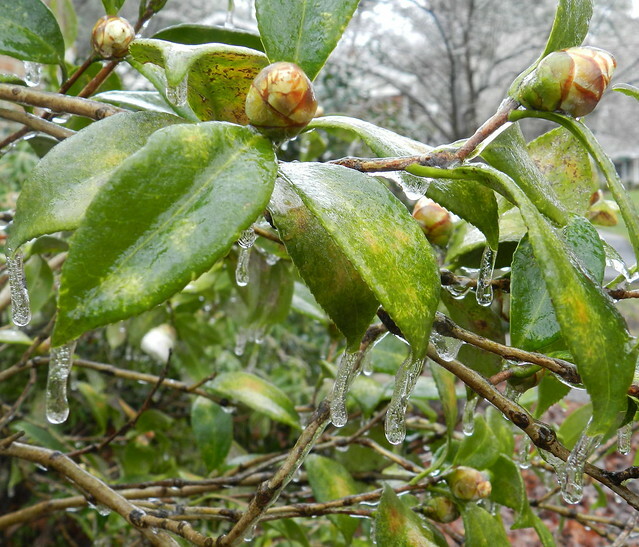 You can probably barely make out the new growth below that was encased in ice. I think this coming week (I'm posting on Sunday) may have some similar mood swings as March draws to an end. I do love big fat icicles. 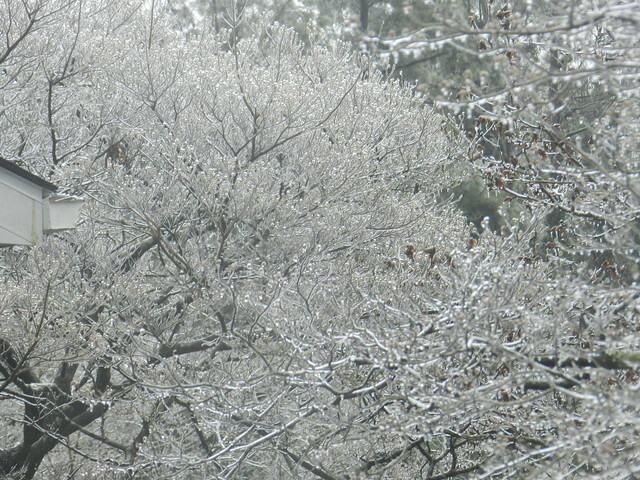 Frozen trees are lovely too although branches sometimes snap under the weight. 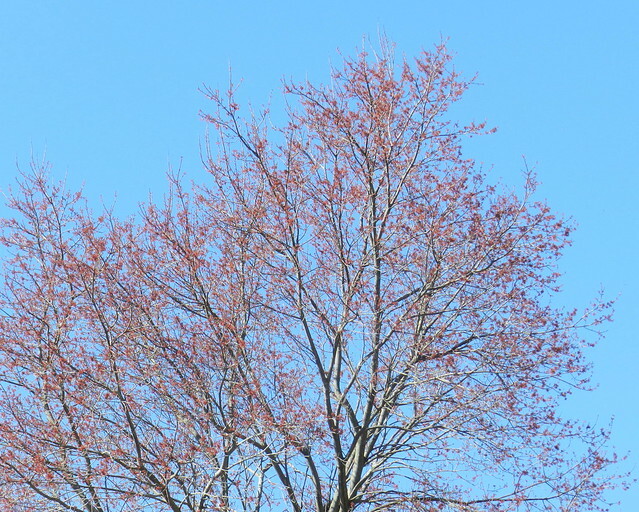 Pleasant spring weather returned for the end of the week. I've stopped worrying about damage because the flowers and new growth are happening in waves. 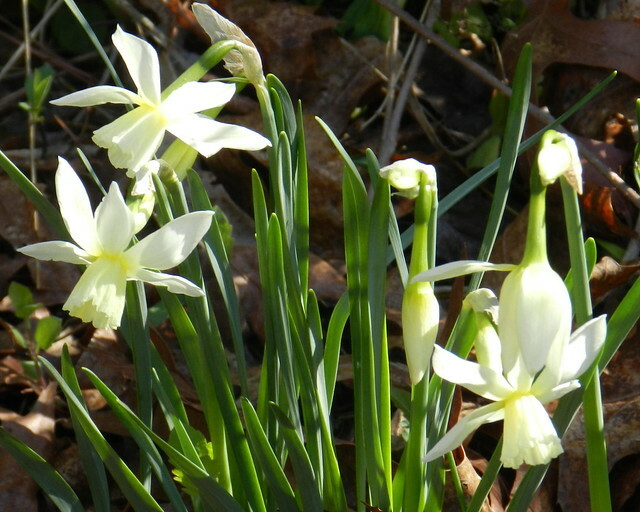 One day there is some damage from temperature drops and ice but a whole new wave of flowers starts up as soon as it warms up. 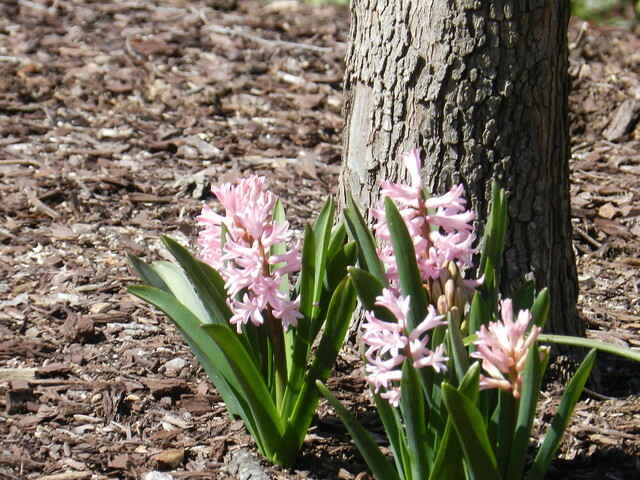 Although a few trees and early flowering bushes lost their flowers for the season, others are just getting started. Some early spring flowers are very tenacious. I don't mind the temperature swings too much if I remind myself that I always complain about summer heat. I also enjoy change although having such big differences in temperatures every couple of days can be draining for some reason. 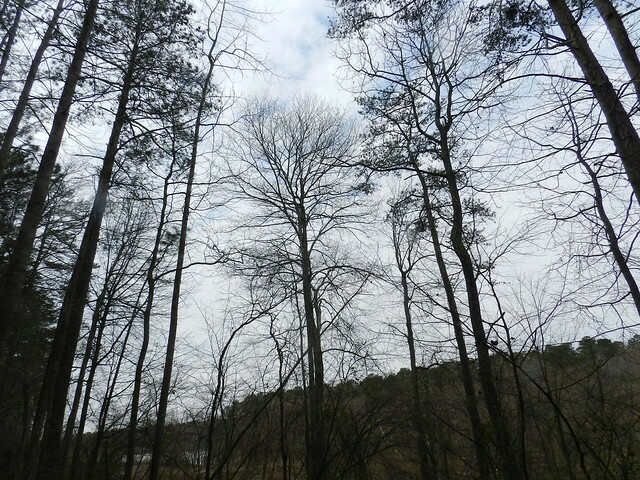 I am tired of gray skies but most weeks we get at least a day or two with some blue. 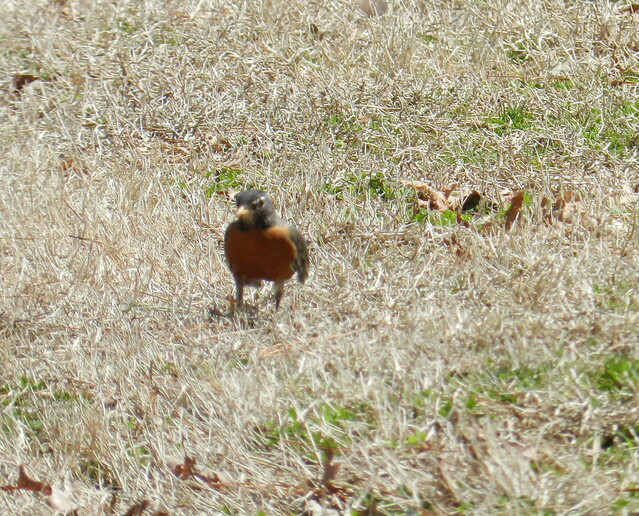 I think the American Robin below looks like she's ready to dance. 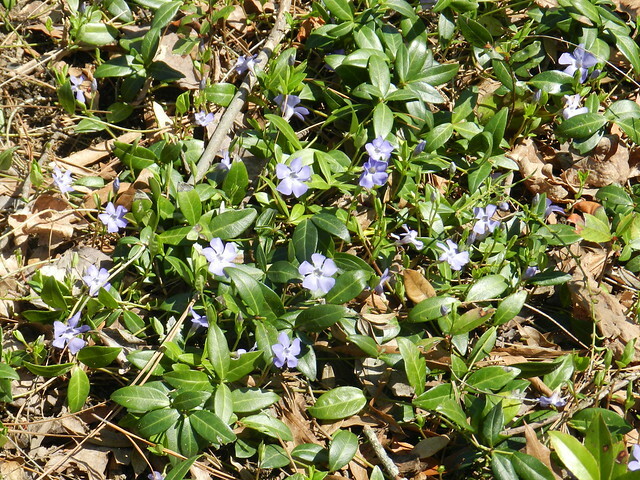 Periwinkle is an early spring flowering ground cover I enjoy. I have a lot of periwinkle in my yard but the ivy is starting to overtake some of the areas I planted with periwinkle a long time ago. 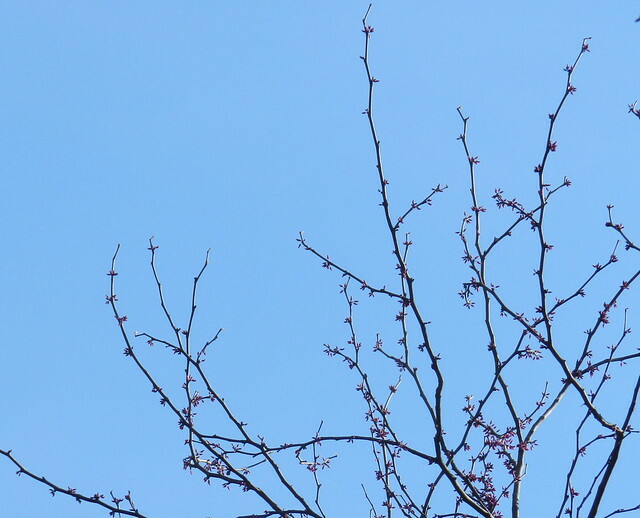 My redbud tree above is beginning to show the beginnings of flowers. 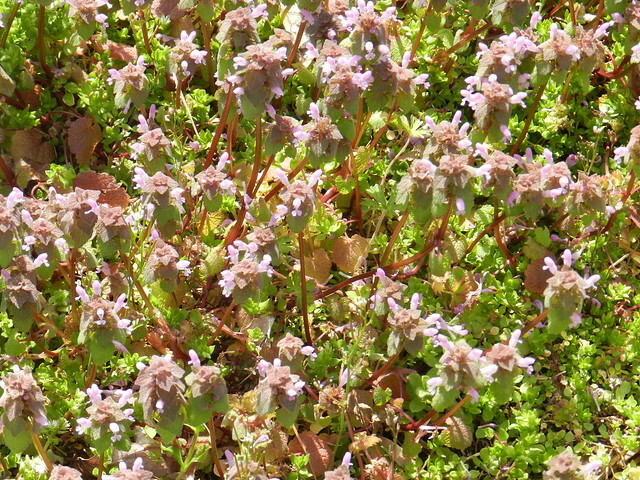 The low growing flowering volunteers above are weeds but I like them so I call them volunteers. 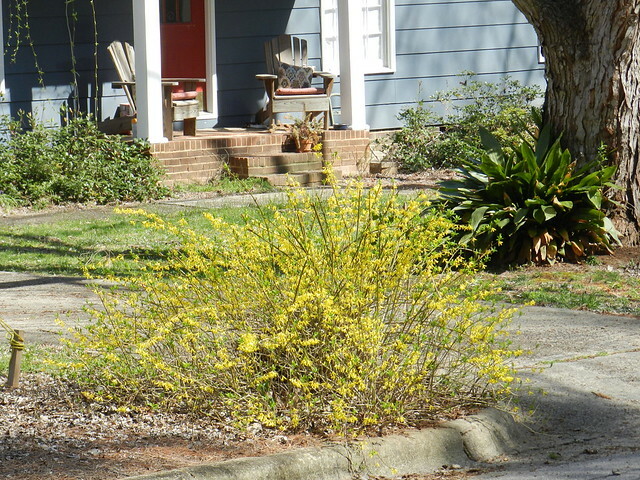 Most of the forsythia bushes in my neighborhood aren't blooming yet but I spotted the one below on a walk. 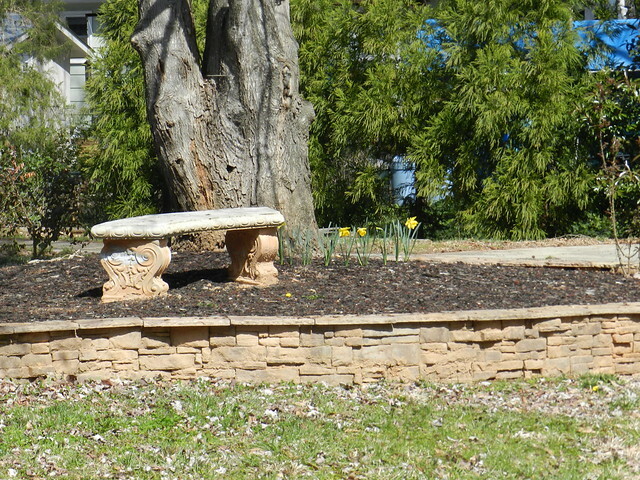 I'm curious if the bed below only has a couple of daffodils or if more flowers will come up later. 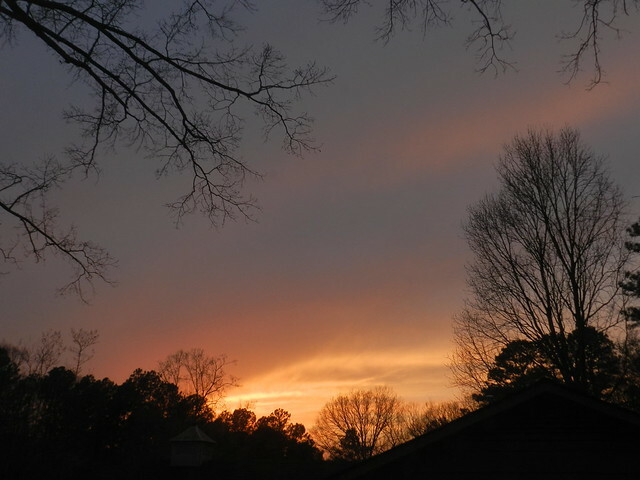 We have had a couple of pretty sunsets over the past seven days. 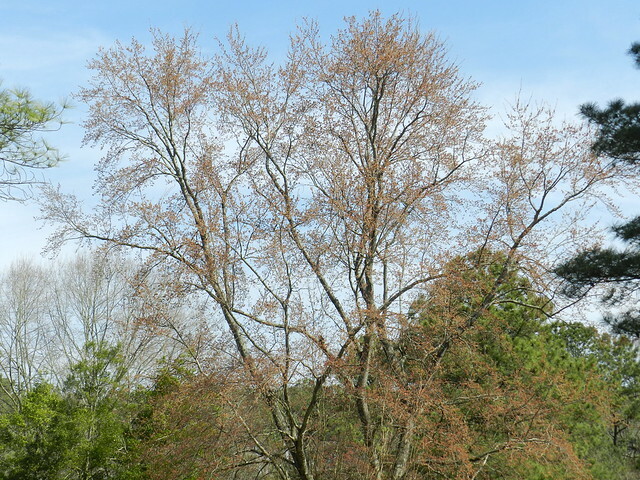 On a Sunday walk this morning I reminded myself to photograph some bare winter trees before they all sprout leaves. 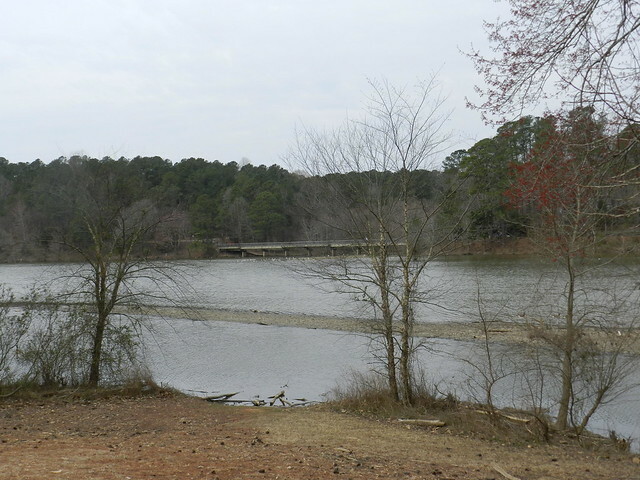 This was the first Sunday in several weeks where it didn't start to rain until the afternoon. I don't mind all the wet weather as much if at least part of the day is suitable for a walk. 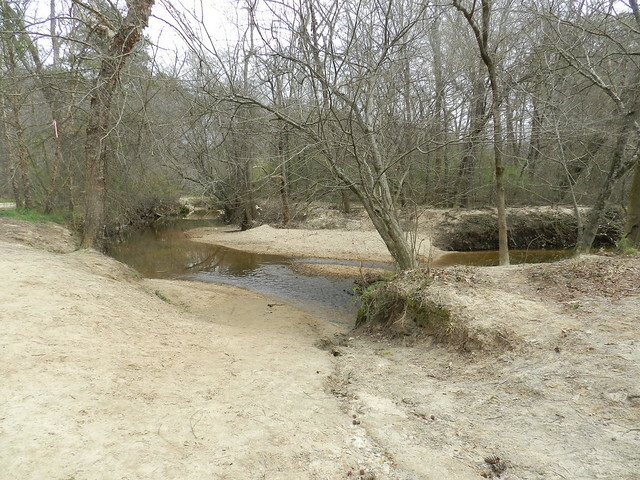 I do enjoy the way there are different seasons represented in nature during the transition from one season to the next. Click here for Nature Notes and click here for Our World Tuesday. Your last sentence says it perfectly -- this is a wonderful post showing the transition between seasons. Like the flowers you show, something I remember but don't see nowadays (at least the winter/spring change). Thanks for showing the grape hyacinths under the tree there -- I used to love seeing them ... along with the crocuses...the first ones we would see in Oregon. You have lots of spring showing! We only have a few crocuses and snow drops. Lovely to look at your flowers. We might have snow tomorrow. I suppose you will get the cold. Yours each and every picture tells about the beauty of nature in different shades. I can't believe you have so much green and growth. We still have nothing here! And now it's coooold again. Wonderful photos. What a difference a day makes in our worlds! Never dull with changes happening from one moment to the next. I love the little bird on the grassy dance floor. It is no doubt looking forward to more temperate weather. Wonderful images. I can see colorful flowers. Ah, the many faces of spring!! You've caught them all beautifully as always, Carver!! 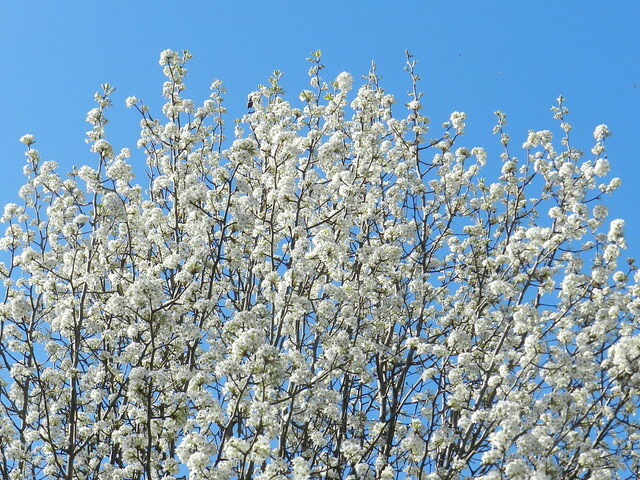 We have the same things from bare trees to colorful blooms, gray skies to blue!! Thanks as always for sharing the beauty of your world! Have lovely week!! Such changeable weather. 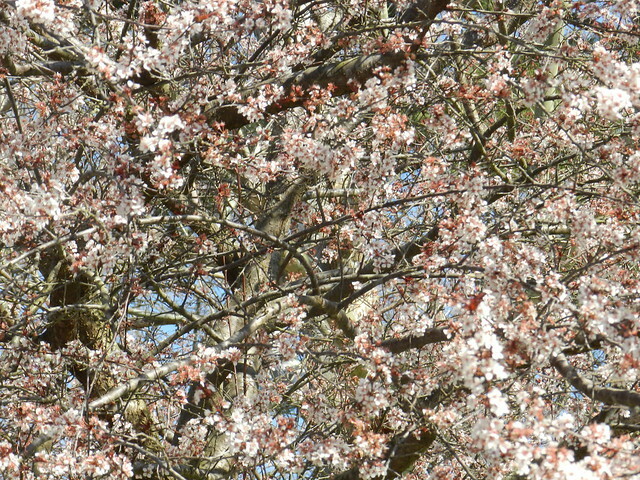 Love the ice trees but much prefer the blossom than the ice. The lacework on the twigs, they are so beautiful. I can't remember if I saw them in Canada when I was there 40 years ago. Mr. Weather is very fickle in your neck of the woods. 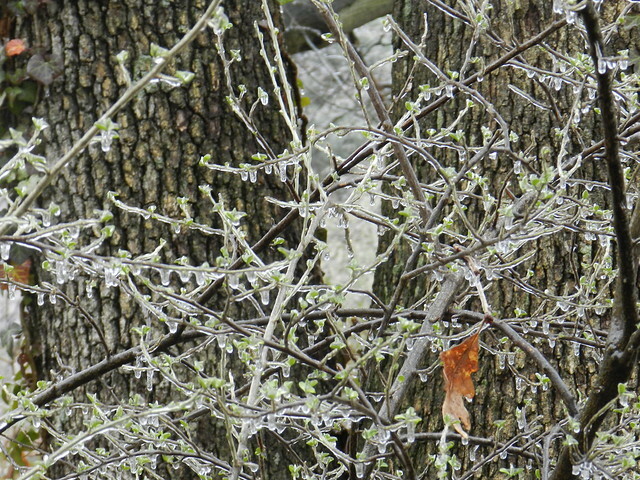 For an outsider the bare tree limbs all covered in ice is very beautiful, I'm sure there is a hidden hassle to you. Weather is confusing at times. You did get some wonderful spring blooms. 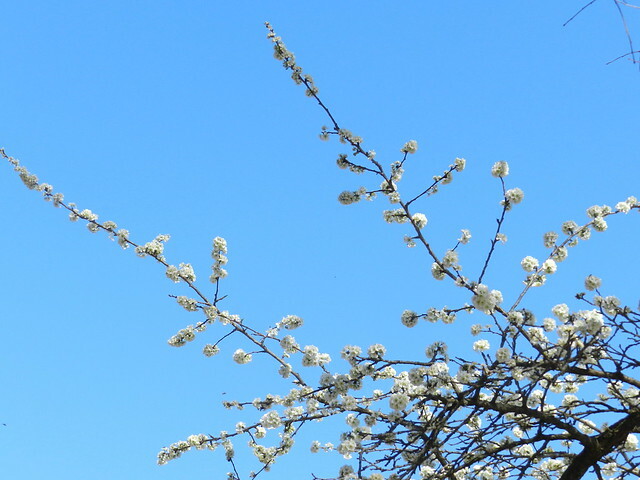 One step forward and two steps back - that's spring! I love all your icy shots. Carver, lovely series of images. You have shown the two season on your post. 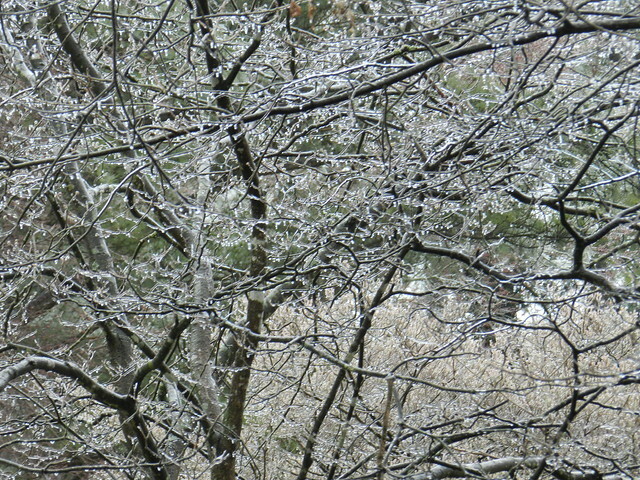 The ice is awful for the trees and branches even though it is pretty to see. 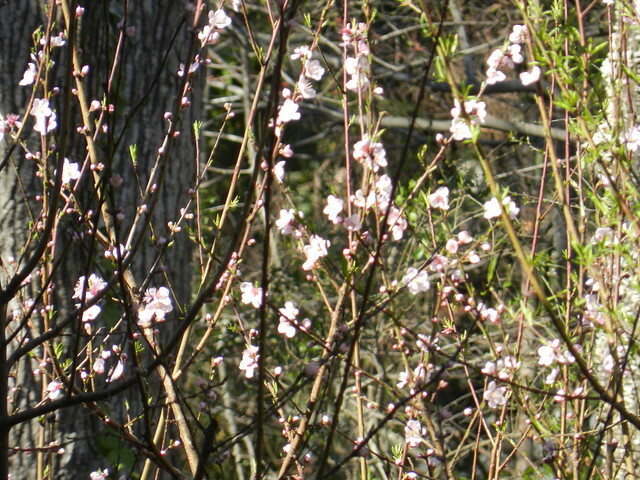 I love the blossoms and flowers, pretty signs of spring.. Have a happy day! Wow...and what an ice storm that was to be sure, by the images you've shared. Poor plants/birds!!! 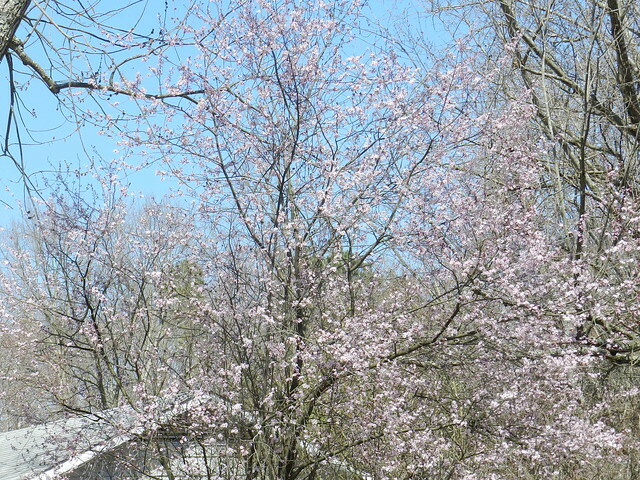 But the weather rebounded to its full glory of Spring. Just hope now it remains and no more tricks up Mother Nature's sleeves. 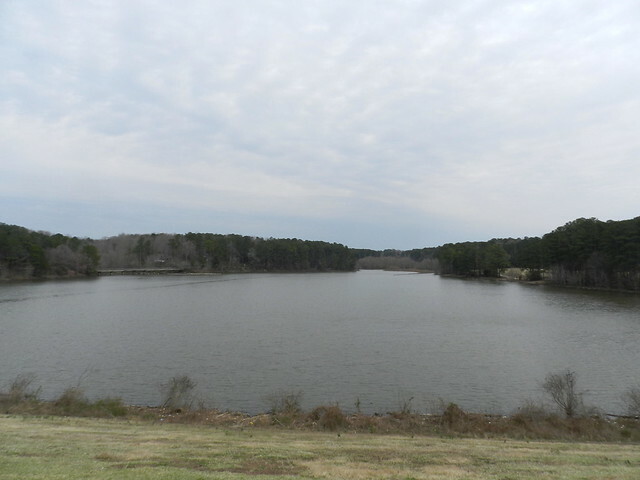 So many beautiful signs of spring Carver! No signs here yet except for a few bird species that have come back to the shock of snow! Well done. Hopefully we are about to turn over a new leaf. The mood swings are awful for plants and birds.